Yes, it has been a long time since I’ve had a portfolio post, but rest assured my account is alive and well (growing too). I’m about 6 months in from when I first started purchasing notes and I still have yet to see a note go late (no notes currently in grace period notes either!). Below you will see my portfolios which will better help you understand my returns. When I first started, I did not pick higher grade notes in order to maximize my returns. Eventually, I started digging more into the third party tools and used interestradar and p2p-picks almost exclusively to pick my notes. Now I am back to hand-picking high grade notes for now. I am still very happy with the returns and will continue to add to my account. Thanks for your updates with your portfolio . Very impressive. Shuhai, keep an eye out next week for an updated portfolio post (I know it has been far too long time since I’ve posted returns). I’ve almost doubled the amount invested in my Lending Club account since this post and have finally seen some defaults and charge offs. Thanks for the quick update. Ryan, I did not intent to pressure you to publish your portfolio . But Thanks for sharing with us . 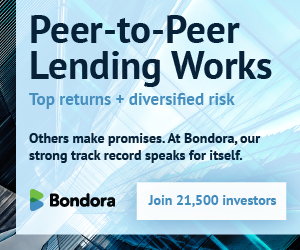 As exciting as P2P sector goes, we have to be aware that we are investors , we are here to invest , not for charity , each note could be defaulted . So, diversification and disciplines of picking up the notes work for stocks as well as notes.